AFAP is a stand-up comedy competition featuring hilarious apartment professionals from various management companies. 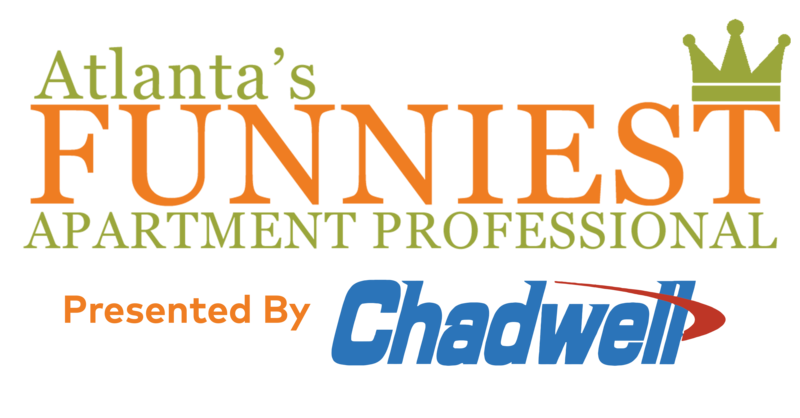 These funny people compete live on-stage in front of 700+ industry leaders to find out who is Atlanta’s Funniest Apartment Professional. Humor Wins produces this event working closely with performers and sponsors to create one of the most memorable nights for Atlanta’s apartment community. Our professional comedy writers make sure that everyone has solid jokes so everyone has a great set. All OM contestants are sponsored. – Make this wise investment in your team and one of your star associates. – Or we can help pair OM contestants with vendor sponsors. – Don’t be surprised to find ‘performing stand-up’ on many people’s bucket list. - And don't keep all that talent contained in your office... share it with the industry. Humor Wins then works directly with the performers to develop and rehearse their material. We have professional writers from Comedy Central, Conan, etc. strengthen and refine the performers’ jokes.